Paradox: "We've released crappy games in the past... I don't want to do that anymore"
Next week, Paradox Interactive will get a new CEO for the first time in almost a decade. But to say that the person replacing Fredrik Wester is "new" to Paradox would be very far from the truth. Although Ebba Ljungerud will be unfamiliar to the Swedish publisher's growing legion of fans, she has been a member of its board for the last four years. She is, in fact, intimately familiar with Paradox, with where it wants to go, and with how far it has come. When we met Ljungerud at PDXCon earlier this year, we asked her about the changes she has seen in that time, the areas in which Paradox was falling short, and that it has since addressed. "Actually, quite a lot of things," she said. "One of the key ways it has got better is to say no earlier; having those clear checkpoints. There was a game called Runemaster, and we cancelled it too late - way too late - and going through that process, the whole team learned that it's better for everyone to cancel these things early. "On the one hand we have customers who demand a lot. On the other hand they're willing to pay if it's good. It's a nice balance"
"We have to accept that, if we start ten projects, four are probably going to fail. I don't know the exact numbers, of course, but that's not a failure as a company, and it's not a failure for the people working on it; it's a part of our process now." That discipline was evident in the products Paradox showed to the press at PDXCon: two entirely new games, but four expansion packs for existing titles, one of which launched more than half a decade ago. It was also evident in its Q1 financial results, where profits almost tripled over the previous year despite only a single new game release. Fewer games doesn't mean less money when it means making smarter bets. "We know we have a certain amount of revenue from what we already do and the people that follow us," Fred Wester admitted when we talked to him later that same day. "But it also puts pressure on the teams to deliver high quality content, because if we don't then people aren't buying. We have smart customers, and they know what they're getting for their money. "On the one hand we have customers who demand a lot. On the other hand, they're willing to pay if it's good. It's a nice balance; we just need to be on the right side of it." Crusader Kings 2 remains popular even six years after launch, but is it time for a refresh? As Wester prepares to transition into a new role - the particulars of which will be explored in an article next week - it's fair to say that Paradox has never been in ruder health. It releases fewer, better games, with the kind of long-tail appeal that most publishers would kill for. In an era defined by games-as-a-service, Paradox has managed to create a very similar structure, but for premium games and paid expansions. "It's our equivalent of games-as-a-service, but it's more optional," Wester said. "We don't turn the game off if you're not playing it. You can still access everything no matter what, and we supply a lot of free updates alongside the paid updates as well. "If you paid $40 for Crusader Kings 2 on February 14, 2012, when the game was first released, you will still have three-times or five-times the game that you paid for six years ago... I think most people are happy with that, but you'll always get people complaining." This model is very much what the future of Paradox will look like even after Wester is no longer CEO, for "most of our core products." There will always be a team that continues to work on each games after launch to ensure that, "within a certain time frame you have a certain number of releases." Where Paradox will seek to improve in its future games is working within even more narrow periods of time. "If you paid $40 for Crusader Kings 2 when it was first released you will have three or five times the game that you paid for six years ago"
"We need to be even better about working on a weekly basis - like, what's happening this week?" Wester said. "Not necessarily something people pay for, but events within the week and things that have just happened in the game." All of which suggests a step even further towards a service-based structure for Paradox games in the future. Indeed, according to Wester, that process began as far back as the release of Crusader Kings 2, the trajectory of which illustrated the need to look beyond a game's launch to assess a product's value. "The launch tells you parts of the secret of how successful the game will be," Wester said. "If you take Crusader Kings 2...the initial launch was not that impressive. Then we released [the expansion pack] Sword of Islam, and then another expansion, and then we released Old Gods... All of sudden it just took off, and a lot of people started playing it. It became a cult hit. It got a cult status that very few games do, because of the stories you can tell with it. "But we were in agreement - me and Henrik [Fåhraeus, game director] and Johan Andersson [creative director] - that the commercial upside was probably pretty high if done right. Henrik usually described it as a mix of The Sims and Game of Thrones; the worst mix ever, but that explains what the game is about." Whether a combination of The Sims and Game of Thrones can be called "the worst mix ever" is highly debatable. Indeed, given the huge number of people that adore each of those cultural behemoths it could be argued that Crusader Kings 2 could have a much larger audience were the game itself more approachable. Like CCP's EVE Online, it is the kind of game that people love to write and read about, but actually playing it is another matter altogether. "The stories themselves, when people read about Crusader Kings, they think, 'I need to play this game.' That's the first thing [they think]," Wester said. "And you can see that, since 2012, we've taken steps towards making our games, not less complex, but less complicated. 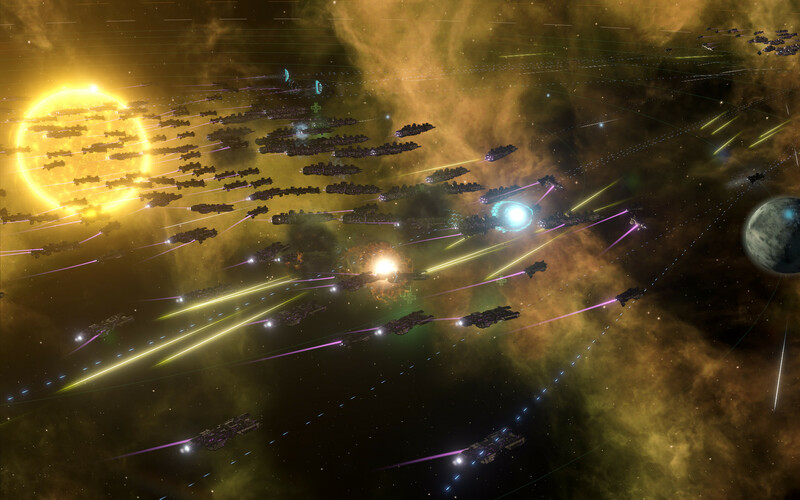 Stellaris is a big step in the right direction; it has a lot of complexity under the hood, but your start is with one planet and one spaceship and one thing to care about. Then you get more and more to do in the game." This rather begs the question of how Crusader Kings 2 - an expansion for which was a key driver of those impressive Q1 results - can emulate a more accessible game like Stellaris, and collect some of the money that may have been left on the table. The short answer: it probably can't. But that's one of the reasons that a full sequel is highly likely at some point in the future. 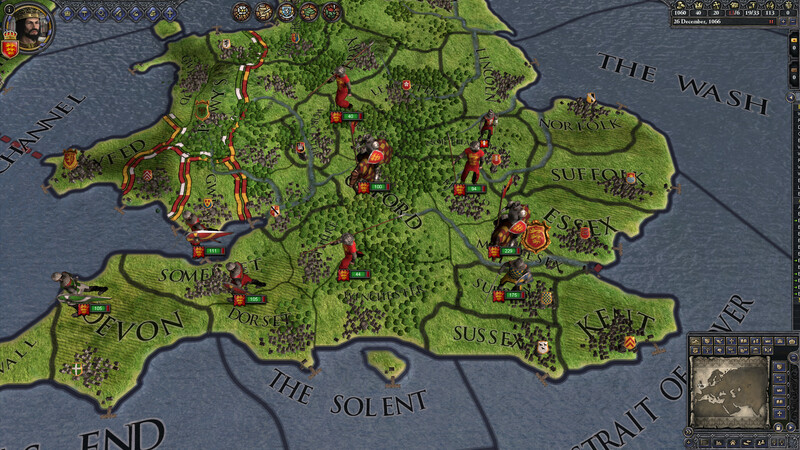 "We can't add much more to Crusader Kings 2 as it is now... We might need to take the etch-a-sketch, shake it a little bit, and start over"
"We will probably do it at some point, and the reason for that is the technical depth that we have in Crusader Kings 2," Wester said. "We can't add much more to the game as it is now. It's crowded. The map is really big, there's so much content in there. It wasn't really built for all of the expansions we made. It's getting heavy. We might need to take the etch-a-sketch, shake it a little bit, and start over." This illustrates the other side of the more studied approach that Ebba Ljungerud summarised as a willingness to say no earlier in the development process. Not every publisher would have let six years pass before making another full Crusader Kings game, out of fear that an opportunity could be missed. Instead, Paradox showed patience, and the brand has gone from strength to strength. The same is true with the White Wolf properties Paradox acquired in October 2015, a collection that includes World of Darkness, Vampire: The Masquerade and Werewolf: The Apocalypse. In a separate conversation with the press at PDXCon, Paradox's VP of business development Shams Jorjani said that "we're making RPGs," before adding, "we bought White Wolf because we believed it had a great set of IPs that could be used for a multitude of different kinds of RPGs." Wester confirmed as much to us, pointing to Paradox taking "a bigger stab at RPGs" as one of the growth areas for Paradox over the next few years. Whether we learn more this year or next has not been decided, he said, because the way Paradox now works means, "anything can be shutdown before it reaches alpha if it doesn't match the quality level." "We have the White Wolf catalogue of games," he said. "There are a couple of projects that are at more than an experimental level right now. People ask us why it's taking such a long time to do anything with the White Wolf stuff. And, well, we want to do things the proper way this time. "We've released crappy games in the past, many years ago. I know how it is to release buggy, unfinished games. I don't want to do that anymore."